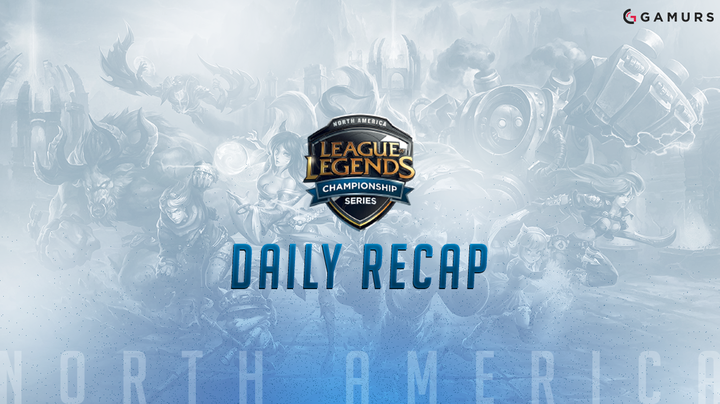 Here is everything you need to know about Day 1, Week 1 of the NA LCS 2016 Summer Split. Today marked the beginning of the North American League Championship Series (NA LCS) Summer Split. Game 1 of the Spring Split Finals rematch went in favor of TSM, who won the team kills 15-4, led by a 8/1/4 performance as Lucian by TSM ADC Doublelift. In his inaugural LCS game, TSM support Biofrost went 1/1/12 as Braum. Game 2 was much closer, but TSM eventually edged it out. The team kills went in favor of TSM 19-16. TSM top laner Hauntzer led the way with a 9/1/7 performance as Ekko. TSM came out strong, looking for revenge with hopes to reclaim the throne. Biofrost and Doublelift look in sync early on. CLG looks like strong as well, but they have met their match depsite their performance at MSI. Game 1 saw EnVyUs taking their first win in the LCS. EnVyUs won the team kills 5-1, while NRG looked lost during most of the game. EnVyUs was led by ADC LOD, who went 1/0/4 as Ezreal. Game 2 saw NRG strike back to even out the series. NRG won the team kills 18-15 in an hour-long slug fest. The game went back-and-forth until NRG was able to take down EnVyUs in a final teamfight. Game 3 saw EnVyUs finish off NRG in another close match. EnVyUs won the team kills 10-7, again led by a strong performance by LOD, who went 4/0/4 as Caitlyn. EnVyUs and NRG look to be evenly matched the entire series. As of now, it seems like they will both be on the lower spectrum of the standings.